Smyle is launching a satellite office in the UK capital that will be used to service the agency's London clients and its Olympics activity, a move that has been welcomed by London & Partners. The office will have a 'hot desk' set-up for up to 10 staff and will be based in London's Tech City region near Old Street in Shoreditch. Rick Stainton, Smyle's managing director, said: "All Olympics projects and project teams internal and external will benefit from proximity to the action, as well as London-based clients, and most importantly as well, our London-based venue partners." Tracy Halliwell, London & Partners' director of business tourism and major events, said: "Creative agencies such as Smyle really add something to London's overall profile as the world leading events destination. "Smyle's decision to locate their new office in the heart of London's newest business quarter in Tech City is a significant addition to all the already thriving offer which is in that area of East London. 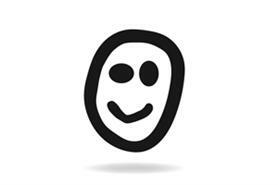 With 2012 being such as monumental year for London's events industry, it seems fitting that Smyle will also be here." Stainton added: "This is an exciting development for Smyle that will immediately support our Olympic projects as well as a longer term commitment to our enhanced client management and growth plans." London & Partners is hosting a press event in Tech City on 5 December, at which Smyle strategic director David Hornby will speak.